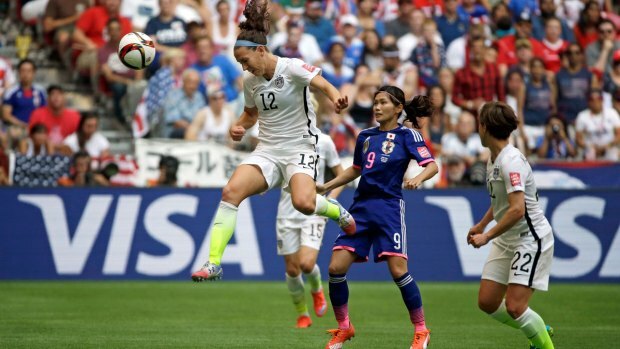 Carli Lloyd lives for the big moment. She had her biggest on Sunday night — and gave the United States its record third Women's World Cup title. Lloyd scored three times as the U.S. jumped to a four-goal lead in the first 16 minutes, and the Americans overwhelmed defending champion Japan 5-2 for the team's first World Cup championship since 1999. A sellout crowd of 53,341 that included U.S. Vice President Joe Biden roared in approval for Lloyd's hat trick, the first ever in a Women's World Cup final. "It's been a long journey, my career. I've had a lot of people believe in me, in my corner, from day one," said the midfield, who turns 33 on July 16. "I've dedicated my whole life to this. Everything else comes second. But I wouldn't want to do it any other way." When it was over, Lloyd collapsed to her knees and pumped her fists. Forward Abby Wambach bear-hugged teary eyed coach Jill Ellis, lifting her off the ground. Lloyd, awarded the Golden Ball as player of the tournament, scored twice in a span of about 135 seconds as the U.S. led 2-0 by the fifth minute. Lauren Holiday boosted the lead in the 14th, and two minutes later Lloyd made it 4-0 with an audacious 54-yard, right-footed shot from midfield that sailed over goalkeeper Ayumi Kaihori. Japan closed on Yuki Ogimi's goal in the 27th and an own goal by Julie Johnston on an errant header in the 52nd. Tobin Heath scored two minutes later, the third goal off a restart for the Americans. While winning the last three Olympic gold medals, the U.S. had struggled in the World Cup since taking the title at the inaugural tournament in 1991 and then again at the Rose Bowl eight years later. Christie Rampone, the only holdover from the 1999 team, lifted the trophy with Wambach, the 35-year-old former FIFA Player of the Year who has said this will be her last World Cup. Wambach was among the most vocal opponents of FIFA's decision to play the tournament on artificial turf. Ellis' tactics and lineups were criticized early in the World Cup tournament when the U.S. offense sputtered at times on offense. 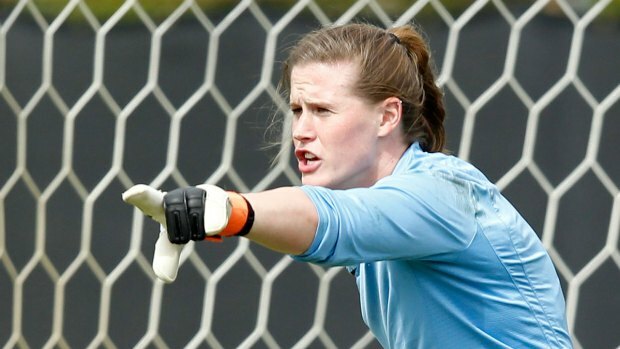 She shifted Lloyd to an attacking midfielder in the semifinal against top-ranked Germany and again in the final, and put 22-year-old Morgan Brian, the youngest player on her roster, in a defensive midfield role. "I want to thank Jill," Lloyd said. "I know lots of people out in the stands were worried about us. We all held together. We all stayed the course. We all executed the game plan." She put the U.S. ahead in the third minute off a grass-hugging corner kick from Megan Rapinoe, streaking into the penalty area on a diagonal run and using the side of her left foot just in front of the spot to redirect the ball inside the far post. She made it 2-0 after Holiday took a low free kick from the flank and Johnston made a back-heel flick to Lloyd, who was 2 yards out. With her right foot, she poked the ball between two defenders and past Kaihori's outstretched arms. Lloyd's third goal came when Kaihori ventured far off her line. The keeper backpedaled and got her right hand on the long shot, but the ball glanced off a post into the goal. It was the fastest hat trick in World Cup history — men or women — and Lloyd became the first American since Michelle Akers in 1991 to score multiple goals in a World Cup final. The only other hat trick in a World Cup final was when England's Geoff Hurst scored three times against Germany in the men's 1966 final at Wembley. Lloyd scored six goals in seven matches during the monthlong tournament, including in every U.S. game in the knockout phase. She raised her international goals total to 69 and joined Carin Jennings in 1991 as the only Americans to win the Golden Ball. Holiday added her goal to cap a counterattack, volleying in from 10 yards after Azusa Iwashimizu's header on an attempted clearance bounded high in the air. Heath scored from 4 yards after a Holiday corner kick, which went off Kaihori's weak punch to the far post for Brian to play back in front. Japan returned eight starters from the 2011 final, when it beat the U.S. on penalty kicks. The Americans started just four of the 11 players who opened that game in Germany. Fired up and ready for #USAvJapan! Best of luck to the @USSoccer_WNT tonight. We're all cheering for you! The United States is 25-1-6 against Japan, including 3-1 in World Cup meetings. "Speechless. Honestly, I'm so proud of this team," an emotional Lloyd said. "This doesn't feel real. It hasn't sunk in. So unbelievably proud of every single person on this team. We just made history."